Mercedes plans to make 22,000 current-generation GL-class SUVs next year in Alabama, ending July 19. It plans to build 16,200 next-generation GL units there starting in June. Mercedes-Benz has ambitious growth plans for its plant in Vance, Ala. According to internal plans obtained by Automotive News, the German manufacturer plans to build 185,900 units there in 2012 -- 30 percent more than projected 2011 levels. This year, production will rise to 143,000 units from 125,000 in 2010, according to market research firm IHS Automotive. According to the internal plans, Mercedes will build 124,300 M-class crossovers and 23,400 R-class crossovers in Vance next year. 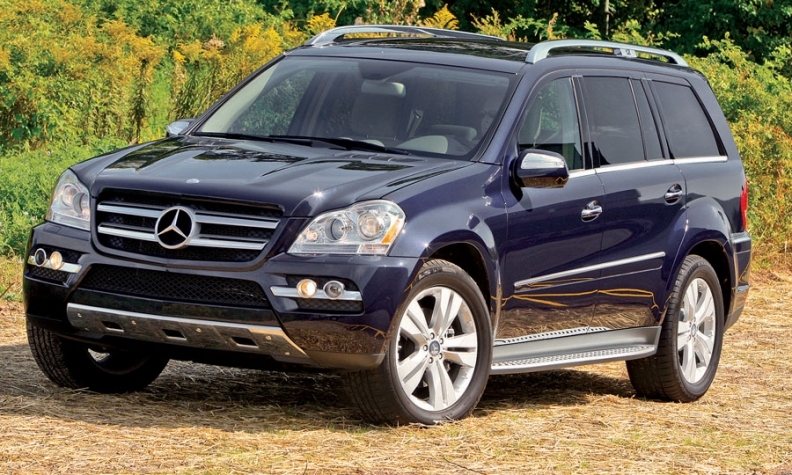 The third model produced in Alabama, the GL-class full-sized SUV, will be redesigned in 2012. Mercedes plans to produce 22,000 current-generation GL units, ending July 19. The company plans to build 16,200 next-generation GL units, beginning in June. Starting Aug. 20, Mercedes will begin a three-shift schedule "in an effort to meet the market demand and begin preparation for the launch of the new C class," according to a letter to suppliers signed by Joerg Burzer, vice president purchasing and logistics, and Tonja Cochran, senior manager supply chain management. In 2013, Mercedes expects to build 178,000 units in Vance -- 7,900 units or 4 percent less than expected for 2012. The decrease is because of lower production plans for the R class (18,000 units) and M class (110,000 units). The new GL is scheduled for 50,000 units. At the same time, the plant will prepare to launch production of the new C class, due to begin in 2014. Last July, Daimler AG approved more than $2 billion to upgrade and expand operations at its U.S. plant, which opened in 1997.